All I can say is: Welcome to our world. Too often people use disabilities as an abusive way of insulting the so-called normal human beings. A few years ago, my family and I were in a restaurant, my then 4-year-old autistic brother started crying and refused to calm down. A patron sitting at the next table looked over and said very loudly: “What’s wrong with these people? If they have retarded children, they should keep them at home.” Then we were asked to leave the restaurant by the management because ‘the other diners were getting disturbed’. It hurt. It hurt because my brother is not retarded. He, like thousands of other people has an autistic spectrum disorder. It also hurt because it was acceptable then (and still is) to insult someone by way of calling them ‘retarded’ and prevent them from experiencing a routine aspect of life. It’s absolutely abhorrent when one hears the word ‘retarded’ being thrown around as if it were commonplace even in classrooms in secondary schools. I had a look at their website and signed the pledge, and plan to spread the word as well. It just drives home the point that I was trying to make a long time ago: the r-word, or “retard(ed)” just hurts. It’s incorrect, offensive and derogatory. The website has informative pages on why you should take the pledge, as well as an explanation of why the r-word is hurtful. 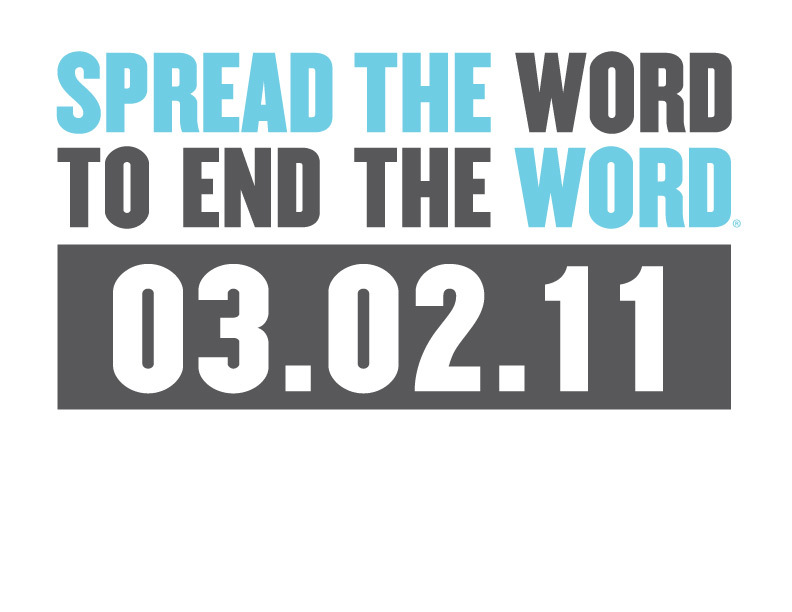 While you’re at it, have a look at how many times the word has been used on the world wide web, on the R-word counter. My brother isn’t retarded. He has autism. He doesn’t suffer from it. Give him, and anyone with intellectual disabilities, respect. Karan was the birthday boy two days ago when he turned 15. In the evening, I thought we should take him to the beach. Hilarity ensued when he decided he didn’t want to walk through the sand and stayed put for the better half of the 45 minutes that we were there. Although I think he was mollified when we bought him cake, which he gorged on once we got home. To all those who remembered and wished him, thank you! Mom’s old car was sold 10-12 days ago. A new one came less than a week back. Rather than get upset with the change, he absolutely adored the new car. It’s big, spacious and high enough for him to peer out the window when we’re cruising on the hot Dubai roads, just like the previous car we had. I was informed that when they went car hunting, he got into this car at the showroom happily, but refused to clamber into a smaller car. He’s a space junkie for sure. When he got into the car, he couldn’t stop grinning, and laughing a bit towards the end of his first drive in the new car. Just seeing the happiness and excitement on his face made our day. Karan’s school, Manzil, organizes a Sports Day for its students, which is usually held in Al Thiqah Club, Sharjah. Every time, Mom and I head over to cheer all the kids on. We’re never told what Karan is doing – it’s always a surprise every year. Now, Karan can be quite active, but only when he wants to be. If we tell him to run, or play, or do absolutely anything, he’ll clam up. For Sports Day, we just hope he’s in a good mood so he gets to participate as well. This year, he was in two races. One involved him wearing some kind of paper giraffe hat, running to a vine with a string of leaves, picking up said leaves and running to the finish line. Haha, only he hates wearing stuff on his head…so when he ran to the leaves vine, he pulled off his giraffe hat and fiddled with the leaves. Still, he came third, after ambling. No running for my lazy darling. Not all of the kids are fast or want to run, and some don’t know why they’re doing it (like Karan for example). But it doesn’t matter. When someone crosses the finish line first, the audience (all parents except me!) cheers. And so on. And then the race is over but for one cute little kid far behind. It doesn’t matter. We scream, we cheer, we shout encouragements. Then when the child passes the finish line, we whoop. A little one who probably comes up to my knee moving his tiny little legs as fast as I’ve ever seen, looking adorable as he did. A student who runs super fast, raising his hands in victory even before he crossed the finish line. He won. Another student is one my favourites to watch on Sports Day. His enthusiasm and positive nature is unflagging. Every single year, whether he wins or loses, he crosses the finish line and raises his hands above his head, pumps his fists and looks at the crowd, cheering him on. This year he did not disappoint. I love love love LOVE his attitude; it’s so uplifting. He won a couple of races this time and I’m so happy he did. Students running towards the finish line, then abruptly stopping a millimetre before the line, wondering whether they should cross it or not. Cuties. A cheerleading performance by the students. The Millennium School in Sharjah runs a Best Buddy scheme with Manzil, where some of their students volunteer for events, as they did for this day, and pair up with those students at Manzil able to communicate and become their peer buddy. They were terribly helpful during the event. There’s always a race for the Moms and Dads who attend the event. Mom doesn’t participate because of her problems with legs, but generally I do. This time however, I’d managed to splay myself on a Karama sidewalk the day before and my knee looked like splotches of purple, pink and green, and my right leg was in some discomfort. So I declined to run. However, the best buddies clamoured around us because we were among the few not going down. Then those kids called me ma’am and aunty!!! I was appalled and even more determined to sit firmly in my seat. Aunty…AUNTY?!?!?! I love attending events like these, and his concerts for example. It’s such a testament to what these children are capable of. It’s also so much more laudable considering the issues they face on a daily basis. For the NTs (neuro-typical…that’s all the “normal” folk to you), it’s just a race. You run. You place first, second, third, last…whatever. For my brother, it’s an achievement. Congrats on your certificate Karan! Once we had to go to Madhavi’s (Rajiv’s sister) place by cab since the car wasnt available. So we we left our house and went downstairs to get a cab. Luckily, there’s always a long line of Fiat taxis – the black and yellow ones – just below our house. We, ie myself, Karan and Rajiv, hailed a cab. The thing with these taxis is that the doors don’t open all the way. I told Karan to get into the taxi, but he refused. He kept staring at the taxi for a while. Then he put his head in and looked at the seat and then he came out again. It was quite comical. Then he stood there looking at me with a frown on his face. Rajiv kept telling him, “Go inside” but he refused and kept doing the same thing around 3-4 times. Then he slowly put one leg in and then brought it back out. Finally I got into the taxi and told him to come in. I said, “Come in, see Mummy is also sitting here”. Still he refused. Then I showed him his koosh ball (which he likes)…and he finally got into the taxi. Then Rajiv sat in the front passenger seat. Karan was staring at the taxi driver. The taxi driver was, in turn, staring at us wondering what was going on, wondering why such a grown-up looking boy wasn’t getting into the taxi. Karan was constantly making the sounds “AAH! AAH! AAAH!” and held on to my hand tightly, with a look that felt as though he was wondering where his mother was taking him. When the taxi reached its destination, Rajiv opened the door and Karan couldn’t get out of the taxi fast enough. We didn’t sit in a taxi again. Clearly my son was born in a 4WD (he’s recently been refusing to get into any other kind of car, and if he does, with some hesitation). Backtrack to: The One with the Flight (Part 1), The One Where Karan Goes to a Dentist and Pets a Dog (Part 2) and The One with the Road Trip (Part 3). So Karan likes watching Salman Khan on television, and likes quite a few of his songs. It does depend on his mood though – if he’s in a good one, he’ll watch whatever’s happening on TV and smile. If he’s in a blah mood, he’ll sit quietly but listen. The Filmfare awards was being broadcasted, and there was a Salman Khan dance sequence. He settled down in the sofa opposite the television and watched. I was standing there with Mom’s phone, knowing I’d end up catching him grinning or laughing, when he turned to look at me, opened his mouth wide, didn’t make a sound but gave me this look!